Downloading YouTube videos to iPods and iPhones is not a particularly straightforward process, which is why the maker of Tooble think it's come-up with the perfect solution. Tooble allows you to search YouTube, select batches of content, and then download them all for viewing on your iPod or iPhone in two or three clicks. Tooble was originally designed for Mac, and the Windows interface isn't half as slick but it still offers the same functionality plus a few bonuses too. You can browse YouTube within the main Tooble interface or search for videos via the search box. 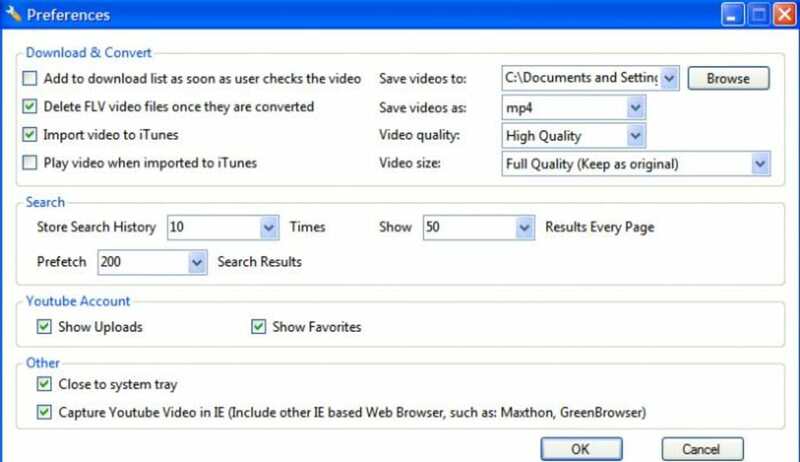 Simply mark those videos that you want to download, and Tooble then transfers them to your PC in an iPod/iPhone friendly MP4 format. Tooble sends them directly iTunes so that the next time you plug in your iPod or iPhone the files are there for you to transfer. Although you can select as many videos as you want to download, Tooble only seems to download four at a time (which is at least one more than on Mac) while queuing the others. Downloading is considerably faster than on Mac, and a 10 minute clip shouldn't take more than a minute. As far as all-round solutions to ripping and downloading for iPhone and iPod go, Tooble does an excellent job. Better than YouTubeGet. I would recommend this software in the place of YouTubeGet. Not just because its free and YoutubeGet is a Demo but because it is much better. It has more tools which allow you to convert and download how you want. Convert and capture youtube videos in one software. What do you think about Tooble? Do you recommend it? Why?